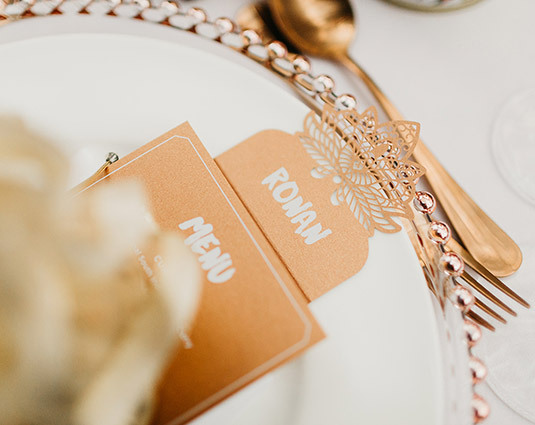 A personal, autumnal wedding suite dedicated to the couple and their dog with an African theme of past travels. 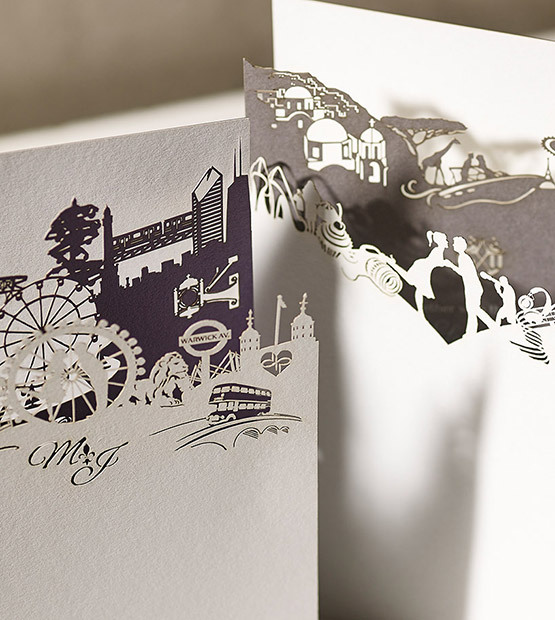 We worked closely with Anne and Adam to create a bespoke, laser cut invitation. 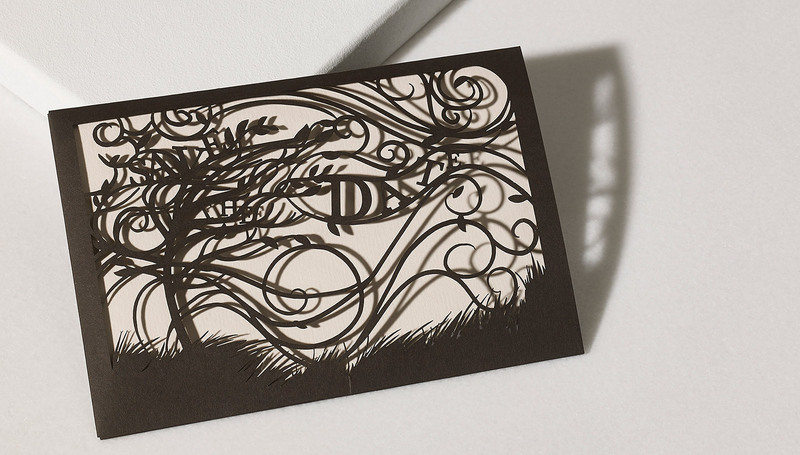 We opted for a double fold with information insert neatly folded in the back. 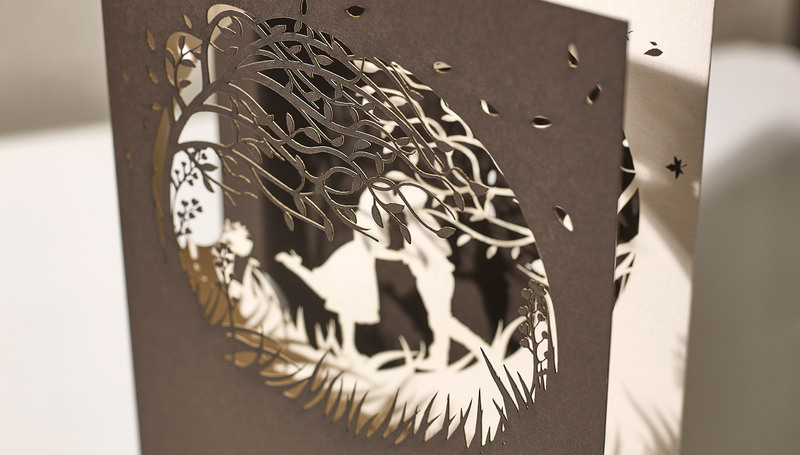 This followed a beautiful, Autumnal laser cut wallet design for the Save the Dates. 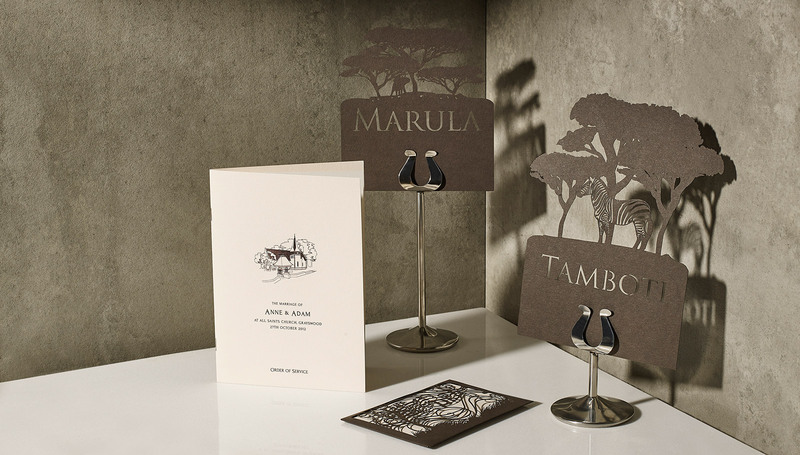 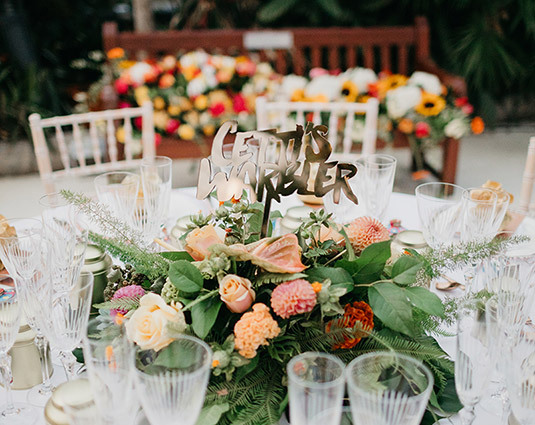 The full suite, including the day stationery, matched the style of the initial save the date and invitation – beautifully laser cut table numbers incorporating African trees and animals were a fun addition referring to their travels, with an order of service illustrating the quaint Surrey church where they were married. 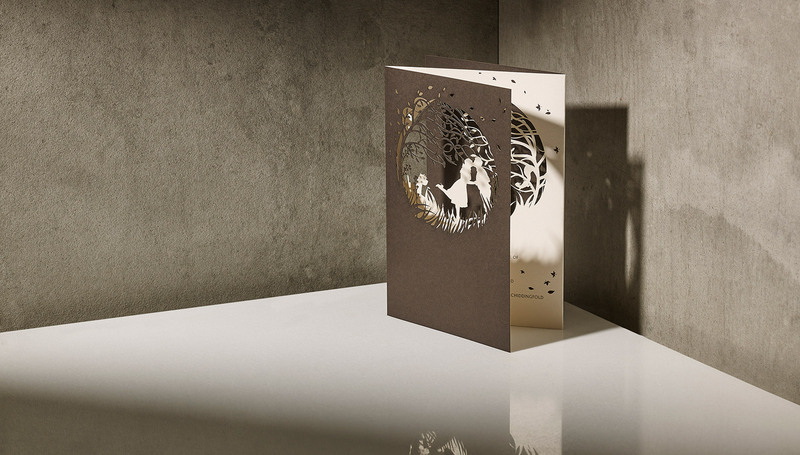 Double fold ‘Your Story’ invitation laser cut from luxury G.F.Smith Duoplan stock in bitter chocolate and vellum white. 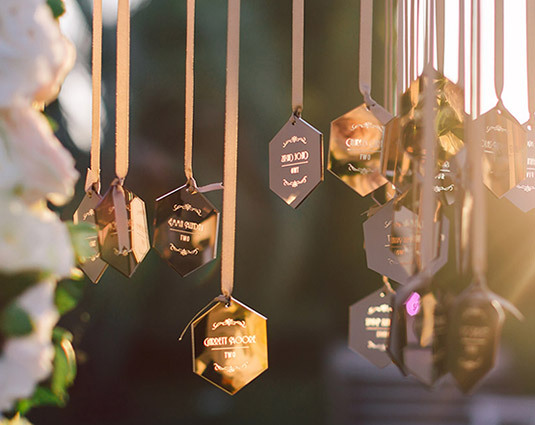 Wording and detailing silk screen printed in bitter chocolate. 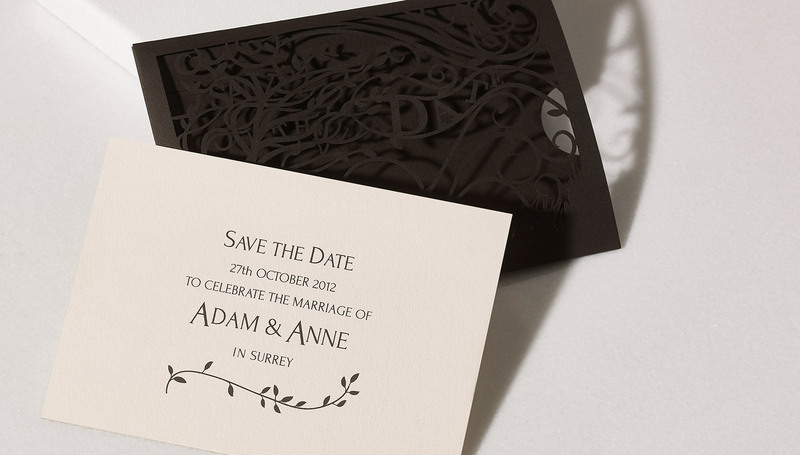 Save the date wallet intricately laser cut from bitter chocolate Colorplan stock containing heavy weight vellum white card silk screen printed in bitter chocolate. 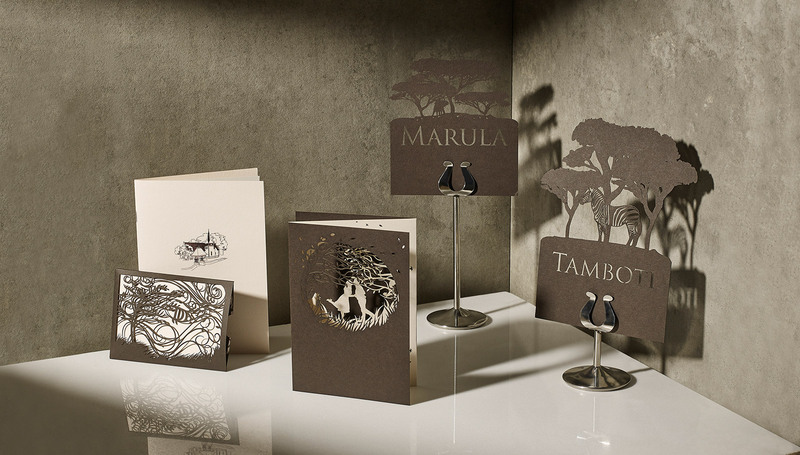 Day stationery elements laser cut from matching luxury stocks digitally printed in bitter chocolate.